Home > Dog Health > Illness > How Much Does Dog Cataract Surgery Cost? How Much Does Dog Cataract Surgery Cost? Has your dog been diagnosed with cataracts? 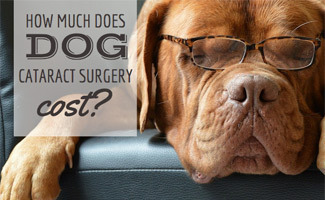 If so, are you worried about the cumbersome cost of canine cataract surgery? It can be expensive, for sure. And if left untreated, this progressive condition can lead to total blindness, so it’s a necessity for your pup’s quality of life. But just how much does dog cataract surgery cost? And how can you reduce your financial burden for unexpected illnesses like this? Here, we’ll give you the info you need to know about dog cataract surgery, the associated costs and how you may proactively reduce your financial risk for pet vet procedures. What Are the Causes of Canine Cataracts? How Do You Treat Dog Cataracts? 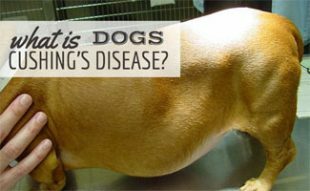 If you notice any of the symptoms above, it’s important to visit your veterinarian as soon as possible (especially if your dog’s breed is predisposed or elderly). Your vet will ask for a health history, including the onset of related symptoms, and do a thorough physical exam, focusing on your dog’s eyes. 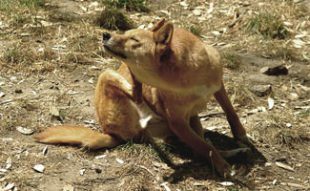 Your vet may also do blood tests and a urinalysis to determine if any diseases could be causing your dog’s condition. If your dog’s diagnosis is diabetes-related cataracts, your vet will first start treatment of this disease to get it under control. If your veterinarian recommends cataract surgery, it’s important to act swiftly. There are limited medications, including topical eye ointments or eye drops, which can postpone the need for surgery, but cataracts will not go away without surgery. And cataracts in dogs can progress rapidly. What’s Involved in Dog Cataract Surgery? Although stressful for you and your pup, dog cataract surgery is usually uncomplicated and performed on an outpatient basis (meaning, he can be home with you the same day). Your dog will be put under general anesthesia, and the surgeon will make a small incision into the eye. Then, the surgeon uses a technique called phacoemulsification, in which he uses a small ultrasonic handpiece that breaks up the cataract and aspirates it out of the eye. Then, the surgeon inserts an artificial lens into your dog’s eye to restore his normal vision. The dog cataract surgery success rate is approximately 90%. Most dogs regain near normal vision, although many remain slightly far sighted. Most pets’ vision continues to improve over the week following surgery. The cost of cataract surgery for dogs averages $3,500. This estimate includes the preliminary examination, ERG and ultrasound, surgery, anesthesia, operating room use, hospitalization, initial medications and postoperative checkups (usually up to 90 days). Surgical costs, however, can vary pretty widely based on your location and service provider. How Can You Reduce the Cost? Getting pet health insurance when your dog is young is the best way to plan for health issues throughout your pet’s life. If you sign up while he is young, there are far fewer preexisting conditions which brings the price way down for you. And, having pet insurance before diagnosis can help minimize unexpected expenses for dog cataract surgery and a host of other pet health expenses. It’s not as expensive as you might think. But, you must have an active pet insurance policy in force prior to diagnosis for that condition to be covered. 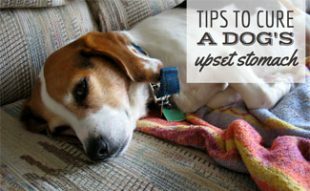 There are some very reputable pet insurance companies that can help offset most of your pet’s health unexpected health expenses. Our top recommendation is Healthy Paws for their excellent coverage and service. Read one Healthy Paws customer’s testimonial about her experience with her pup, Nacho, who required cataract surgery. 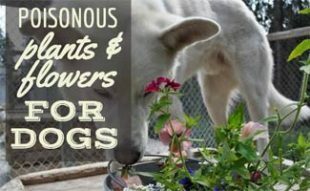 Healthy Paws is amazing! Nacho, our rescue dog who’s only 2-years-old, needed surgery for a cataract that was causing him to go blind. I wasn’t sure if any of the cost would be covered, but thankfully Healthy Paws covered 90% of the surgical expenses. I submitted the claim on Monday and received my check by Saturday! On top of their quick resolution, Healthy Paws contacted us a week later to follow up on Nacho’s recovery. We were so surprised at their thoughtful gesture! I’m happy to say that Nacho is doing well. I can’t give Healthy Paws enough praise. They are extremely professional, thoughtful and caring. They treated our dog like their family member, rather than just being another insurance claim. Thank you Healthy Paws. I highly recommend them if you’re looking for pet insurance. Hopefully, you’ll never need to go through a major health problem with your dog, but if you do Healthy Paws will be there for you! How Does Cataract Surgery Give Dogs a New Lease on Life? Watch the video below to see how one “dumpster dog” got much-needed relief from cataract surgery. Is Dog Cataract Surgery Worth the Cost? For sure, if you don’t want your dog to suffer from a debilitating loss of vision. You love your pup and don’t want to see him suffer from loss of eyesight, just as you wouldn’t wish that for any family member. Sure, the surgical costs are high, but with pet insurance, you will be covered when the vet asks you to fork out a ton of money to give your dog a higher quality of life in the long run. Are you concerned that your dog may need cataract surgery? What are his symptoms? I suggest speaking with your vet about the risks associated with the surgery for your dog. Sorry to hear your dog may need the surgery. I wish you all the best. Where is somewhere that I can get it done for around 2,000? Omg, I can neither afford the insurance or the surgery since I am now on a fixed income I don’t want to lose my baby girl. I was a cat owner for 20 years and finally, after my son’s begging to get a dog for seven years, I finally decided to “look” (not buy) for a pup. I fell INSTANTLY in love with this little guy and HAD to take him home. He is almost two (got him at 10 weeks old) and he is so much more (love-wise) than we could have ever imagined. We bought pet insurance just two weeks after taking him home. We just got back from the pet ophthalmologist this week where we received an estimate of $5,300. Upon speaking with our pet insurance (we got major medical plan) they told us he is NOT covered for cataracts and if we receive any financial help it would be $525. at best. We DO NOT have Healthy Paws but certainly wish we knew of them. Obviously we can’t change now due to the diagnosis in place. We are devastated as we cannot afford this and this would take us years to pay off. Our little guy is a fetcher, playful, jumps and runs to catch balls and losing his sight would completely hinder any kind of play he enjoys at his young age. His eyes are clouded over already but surgery would fix him at this time. Does anyone know of anywhere that could do this for a more affordable rate? Or any kind of help that can be offered in this case? This dog means the absolute world to us… it was instant love at first sight. Oh no Melissa, I’m so sorry. Do you mind me asking what pet insurance you signed up for? I think our readers would like to know and we’d like to do more digging into this as well to make sure we are presenting accurate information in our pet insurance reviews. Did the insurance company give a reasoning as to why cataracts wouldn’t be covered for your dog (i.e., did someone point out an exclusion in your policy?)? My girl died she was 10 years old, I thought I was helping her but feel now I killed her, I should have never taken her for surgery, I’m totally lost and very depressed over the loss. I’m so sorry for your loss, Nancy. You may find this article helpful. Hi, my pet is an 15 yrs old female Pekingese, she has cataracts in both eyes, is safe to anesthesia her at this age? And I noticed she has this eye problem a year ago, before her eyes didn’t show any sign..if is safe total anesthesia, can she still apply for pet insurance in order to do it faster in time? Hi Betty, I suggest asking your vet about the risk of the surgery for your dog. Unfortunately, it probably wouldn’t be covered through a new pet insurance policy and would be considered pre-existing since it is in your pet’s medical records. I really appreciate your information that dog cataract surgery costs around $3,500 and has a success rate of 90%. My dog has both cataracts and a tumor on the side of his ribs. If the success rate for tumor removal is as high as it is for cataract surgery, I think I will start looking into pet hospitals who offer those surgeries. My small dog is 17 years old and has cataracts in both eyes. The left is is the worse. Is this surgery recommended or is he too old for the anesthesia. You should speak with your vet. Oh Nancy, my deepest sympathies to you and your family. I’m so sorry. Way too old! Don’t risk it and not worth it! Is the $3500 average cost for cataract surgery per eye or for both eyes? I believe it is for one eye only. However, if your dog needs surgery on both eyes, it doesn’t necessarily mean it’ll cost $7,000. The $3,500 includes the preliminary exam, ERG and ultrasound exams, hospitalization, initial meds, surgery, anesthesia and operating room use. Some of these items would not need to be charged twice (anesthesia, operating room use, hospitalization, etc.). Also, price will vary based on location and the person doing the procedure. So it could be $3,500 for both or it could be more or less. In the end, it’s always good to get an estimate from the person conducting the procedure. Can you get pet insurance if you have no knowledge of your dogs history? We got my dog after a family friend had passed away. We have no information on her. The vet she had been going to won’t give us information because we aren’t listed as her owner. Yes, you can still get pet insurance for the dog. Many owners who adopt dogs from shelters do not know the dog’s history and are still able to purchase insurance. Often the insurance company will require a physical with a licensed veterinarian be conducted within a specific time to provide them a current stance on the dog’s health. This will help them determine any health issues. I would to get dog insurance for my min pin who is 17 years old because she has cataracts. How much is health insurance? You can get a quote from our top ranked pet insurance companies with your pet’s customized information here. Unfortunately it doesn’t work that way because everyone would wait until their dog was sick in order to purchase insurance. They also do not cover pre-existing conditions. The insurance companies require a complete medical exam and often a one or two years waiting period for dysplasia if they weren’t insured as a puppy. I adopted my Lab at 2 years of age and purchase insurance through Healthy Paws immediately for him and it has been worth it ! Poor Nacho! I have pet insurance thankfully so if this ever happens to my little Lucky girl she’ll be covered.